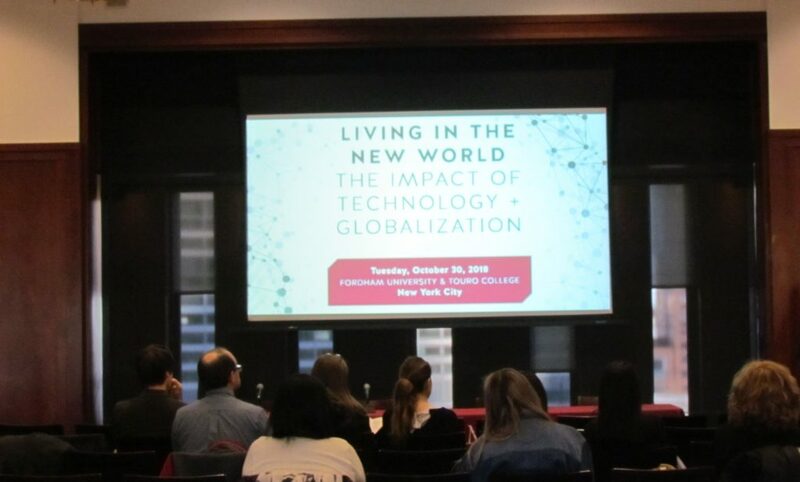 Last October 30th, Fordham IPED and Touro College sponsored a conference entitled “Living in the New World: The Impact of Technology & Globalization” which featured academics from different fields discussing how social institutions and processes are changing because of technology and globalization. The conference started with an address from Dr. Peter Stace, Fordham’s Senior Vice President for Enrollment and Strategy, and from Dr. Marian Stoltz-Loike, Touro’s Dean of the Lander College for Women and Vice President for Online Education. 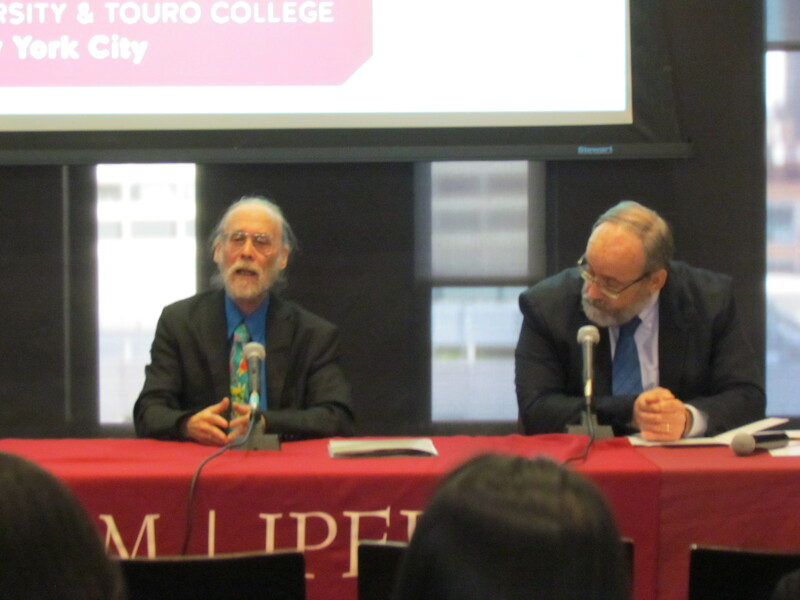 A discussion between Fordham IPED’s Prof. Schwalbenberg and Touro’s Prof. Weinstock then followed. They discussed how the world is responding, and how it has changed due to the rapid development of technology and globalization. They highlighted how technology has produced a lot of good but also a lot of uncertainty about some of its effects going forward. A panel discussion then followed about how social institutions are changing in terms of politics, economics, the family, and spirituality. 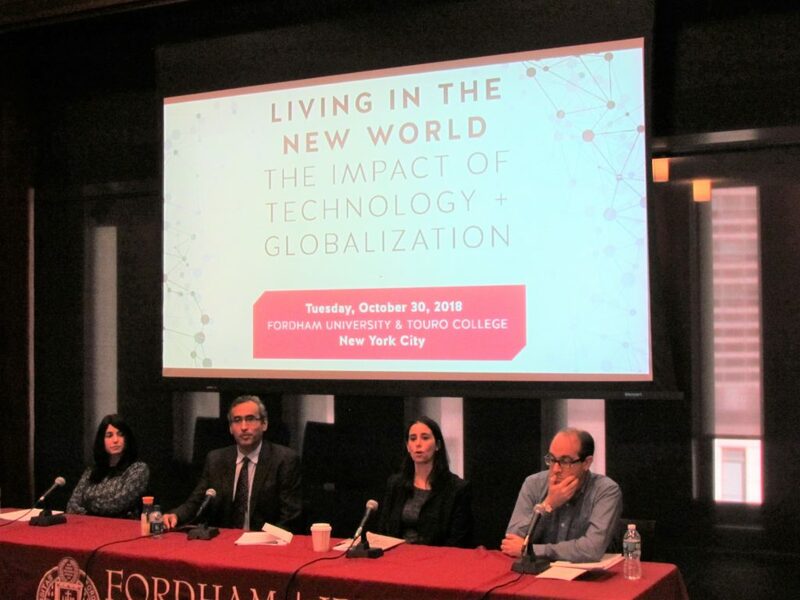 The panelists were Prof. Bastiaens of Fordham’s Department of Political Science, Prof. Rengifo of Fordham’s Department of Economics, Prof. Weinshenker of Fordham’s Department of Sociology and Anthropology, and Prof. Ratti of Touro’s Department of Sociology. 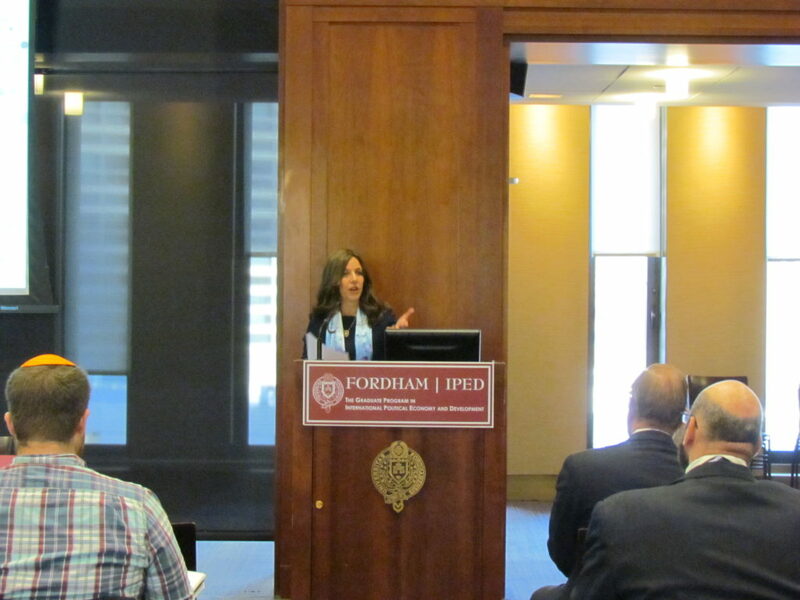 The afternoon session of the conference was held at Touro College where lunch was also served. 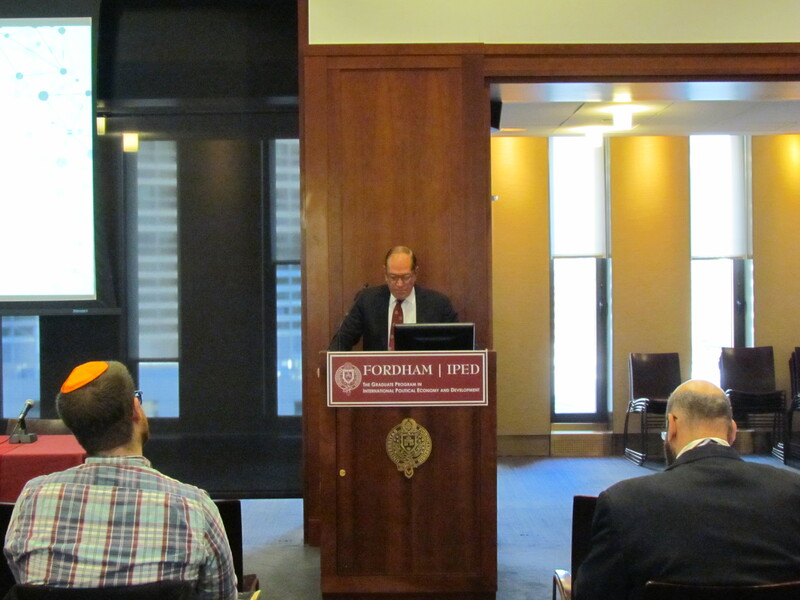 The first afternoon session featured Touro’s Rabbi Prof. Fishbane and Rev. Fr. Patrick Ryan, SJ on “Old and New Meanings of Community – for the Jewish People and the Catholic Church.” They discussed how the very definition of community have shifted due to the increasing globalization of the world, and the rapid development of technology which have brought people closer than ever before. They discussed how the social climate has changed, as well as its repercussions for the Jewish People and for the Catholic Church. The second panel then followed which discussed how social processes are changing as seen in our psychology, and sociology. The panelists were Prof. Pirutinsky of Touro’s Graduate School of Social Work, Mr. Rosenberg of Haaretz, Prof. Silberman of Touro’s Departments of Sociology and Pyschology, and Prof Leventis of Touro’s Department of Sociology and Academic Director of the Program in Criminal Justice. After a coffee break, Prof. Verbit closed the conference with a discussion on how society has indeed changed due to technology and globalization, and what is to be done moving forward. Prof. Verbit also discussed how technology and globalization, with all of its benefit, cannot be the ultimate cure to the problems of the world – thus requiring more action and thought from society as we move forward.